Japanese dwarf flying squirrel is a small rodent living in evergreen forests on Honshu and Kyushu islands in Japan. squirrel is active mostly during the night when it search for the food - seeds, fruits, buds or leaves. 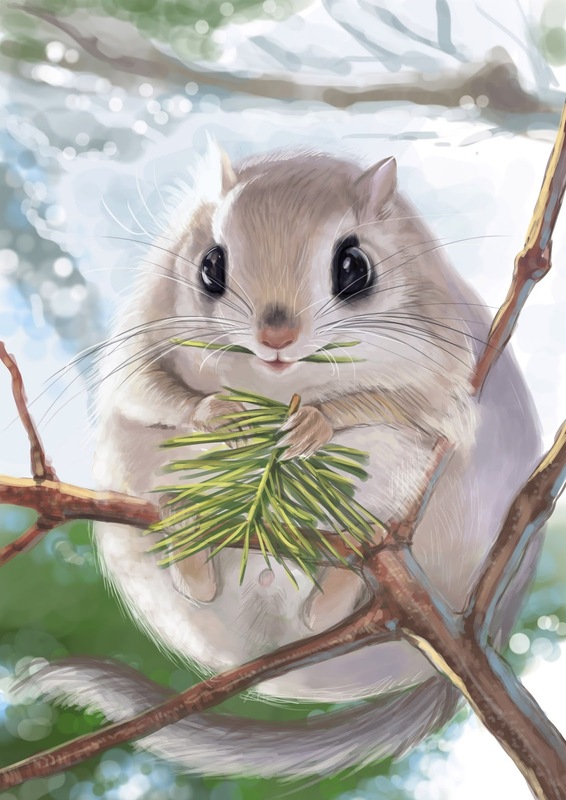 When the day comes, Japanese dwarf flying squirrel hides in a hole in a coniferous tree and rest. hair and it has white belly. Its eyes are round, dark and large. Japanese dwarf flying squirrels lives at the trees and they build their nests there - especially at the coniferous trees like a pine.